Badhon is a popular Bangladeshi actress and model who is widely mooted around the country for her divorce news with the husband Sonet. At first, she was spotted by the audience when participated in ‘Lux Anondodhara Miss Photogenic’ contest in 2006 where she became the first runner-up. She is also a dentist. 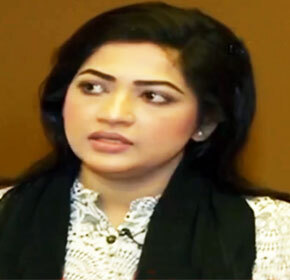 Badhon comes to the timeline in the showbiz industry when appeared in the drama serial ‘Choita Pagla’. Born Azmeri Haque Badhon on October 18, 1986, in Munshiganj, Bangladesh. She studied at Bangladesh Medical College, Dhaka and received Bachelor of Dental Surgery from the college. Badhon was desperately passionate about the media industry eventually took part a Beauty Pageant at the young age. Being the first runner-up in the ‘Lux Anondodhara Miss Photogenic’ Badhon entered into the media arena. 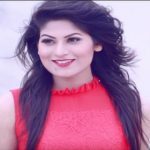 In her short career time, she appeared in several popular dramas including ‘Choita Pagla’, ‘Shuvo Bibaho’, ‘Chand Ful Omaboshsha’ and Hijibiji Nothing. She made a wonderful acting performance in the drama ‘Choita Pagla’ and got the positive acclamation from the critics and audience. Azmeri Haque Badhon also starred in a movie ‘Nijhum Aranya’ with Ilias Kanchan and Champa in 2010 directed by Mushfiqur Rahman Gulzar. But she couldn’t continue in the movie industry due to adjustment problem with the industry. After a long break, she returned to the drama industry performing in the drama ‘Dhurubotara’ directed by Choyonika Chowdhury. Azmeri Haque Badhon married a retired army person Moshrur Hossain Siddiqi Sonet on September 8, 2010. He was more than 20 years older form Badhon in spite of that she married with love the older man. After about four years together they called it over due to a dispute over the daughter named Mishel Aumani Sayra in 2014. But the news of divorce was hidden until 2017. The couple has stated different causes behind the divorce, but the main thing is the financial crisis at the Sonet’s house. Thanks for the info! Most helpful!